The term "Yacht Club" generally brings to mind an exclusive club with members who own large yachts and are well off financially. This description does not fit the Cooper River Yacht Club. Prior to 1929 the Cooper River was just a narrow stream of water meandering along through marshland on both sides. It was more commonly called "Cooper's Creek". During the great Depression of 1929 and into the early 30's, President Roosevelt formed what was called the Works Progress Administration (WPA) and the Civilian Conservation Corps (CCC). The WPA was a government program to give work to men who were unemployed and/or destitute. The CCC was a government program to provide work to young single men who were unemployed. These two organizations played a major part in creating the Cooper River Park from Route 130 east to Kings Highway in Haddonfield. The water level of the creek was raised by installation of a dam located behind the Howard Hill Furniture Store on Route 130 which created the present lake. Some dredging was also necessary. 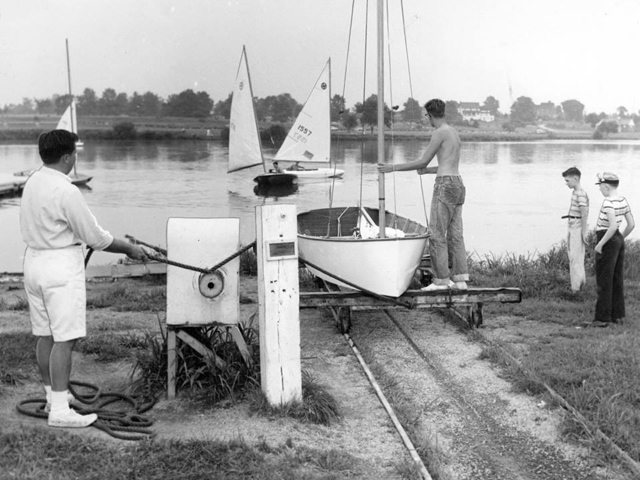 Cooper River Yacht Club (CRYC) was founded in 1945 by a small group of sailors. 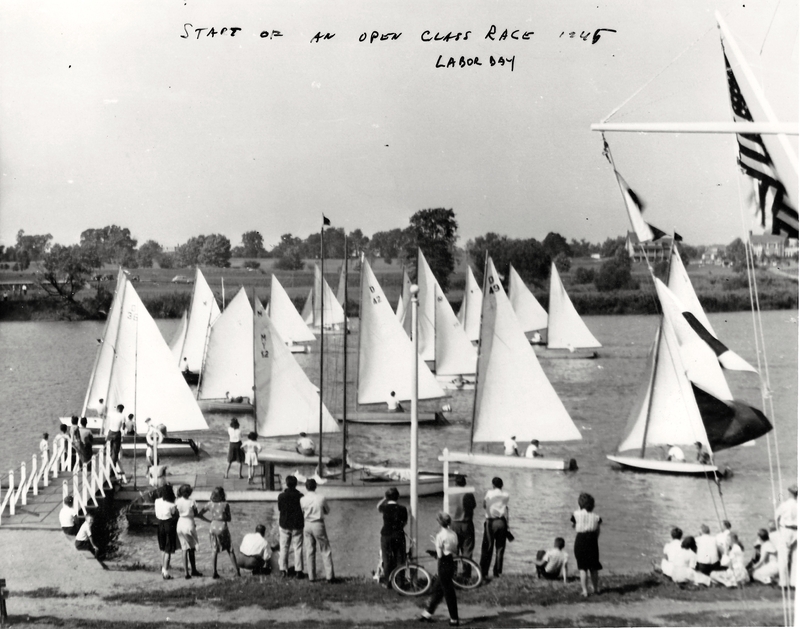 Sailboat races were started by a veteran sailor from New England named Harry Chandler and races have been held ever since. After CRYC was formed, the Camden County Park Commission donated a building by the river and members donated their time and money to make it suitable for a clubhouse. We now lease the facilities from the Park Commission. Maintenance of the present clubhouse and grounds is still done mainly by volunteers of CRYC. CRYC is family oriented and consists of members from all walks of life, regardless of social standing or nationality. It is not necessary to own a boat to be a member of the Club, nor do you need to live in New Jersey. CRYC also has a very successful Community Sailing Program for people who wish to sail but do not want to purchase their own boat. Further information can be found on the CRYC website. Beginner and advanced sailing lessons are offered to anyone who wants to learn to sail. The Club encourages children to take lessons, as they will be the future backbone of the Club. Instructors are experienced sailors certified by US Sailing and are fully capable of instructing novices in the art of sailing. CRYC has produced sailors who have gone on to win more than 50 national and international races in their sailing careers. Races are held at the Club on weekends during the spring, summer and fall. The Club does more than just sail and race. Social events are held throughout the year which include barbecues and holiday parties. CRYC embraces diversity and denounces discrimination in any form.